The fight with Funboy, including Draven becoming wounded. 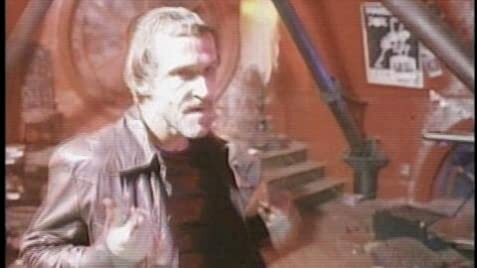 The arcade demolition scene includes footage of the gang harassing and tying up the arcade clerk. She watches as the bomb's timer ticks down. Draven encounters the dying, burnt woman after the explosion and accidentally takes in her memory of the attack. The shootout in Top Dollar's penthouse contains a bit of additional dialogue and more explicit bloodshed. The deleted footage montage contains a brief scene featuring the Skull Cowboy. It also contains some additional dialogue in the opening scene, and a scene where trick or treaters are passing by. Q: What is 'The Crow' about? Q: How did Brandon Lee die? An absolutely beautiful film that everyone should see at least once. This film is so amazing, I can't remember how many times I've seen it. You don't have to be interested in a particular genre of film to watch it, because there is something for everyone in this film. Romance, action, gory bits, humour, drama- you name it, The Crow has it. The tragic circumstances surrounding this film and Brandon Lee also add to it's allure. 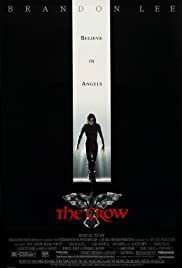 Basically, it's about a rock star named Eric Draven, his fiancée Shelley Webster and the little girl they take care of, Sarah. When a ruthless gang of thugs viciously murder both Eric and Shelley on the night before their wedding, Eric comes back from the grave to avenge his fiancée's death by going after each member of the gang that killed her, and to say a final goodbye to Sarah. An extremely moving film that I would recommend to anyone who has a heart. 84 of 115 people found this review helpful. Was this review helpful to you?